A Sea Scout Ship does not have to own a vessel in order to have an active nautical program. For Ships that do not have their own vessels, boating opportunities may arise through the use of vessels owned by a Ship's adult leaders or by the families of Sea Scouts. Ships may also rent vessels from third parties for specific cruises, use the vessels of another Ship, or a council-owned vessel, if that Ship's council has such vessels. A Sea Scout Ship's own vessel is normally titled to the sponsoring organization or to some other non-profit organization that has been set up to own vessels for the Sea Scouts. Owning its own vessel gives the Ship significant flexibility in scheduling its cruises and other boating activities. It also affords greater opportunity for the Ship's crew members to familiarize themselves with the boat and its necessary equipment. The drawbacks of having its own vessel or vessels is that the Ship must bear the expense of storing, maintaining, insuring, and docking the vessel, which are not insignificant expenses. However, a Ship can meet these expenses through an active program of fund-raising. Additionally, by having its own vessel, the Ship's crew members become more invested in their vessel as they are the ones who spend time and effort maintaining it and keeping it "ship-shape." While not all Sea Scout Ships are fortunate enough to have their own vessels, SSS Nautilus is fortunate enough to have its two (2) of its own vessels. 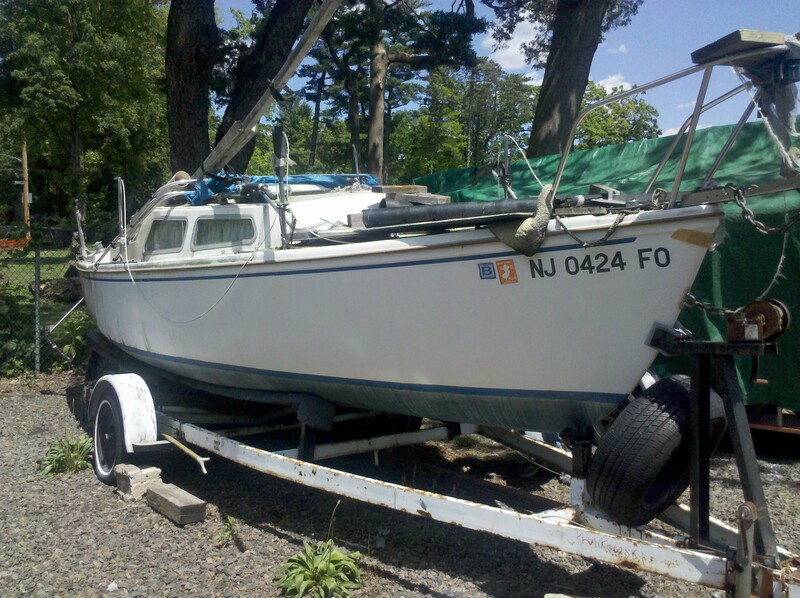 The first is a twenty-two (22) foot Catalina sailboat that was donated to the Ship by the previous owner's widow. The Catalina sat in a boat yard for about ten (10) years as a result of the prior owner's illness and needed quite a bit of elbow grease to render her sea-worthy. The Ship's other vessel is a sixteen (16) foot O'Day Day Sailer II that was donated to the Ship by a local resident. The Day Sailer was in considerably better shape than was the Catalina when we acquired her and is currently sea-worthy. In addition to the Ship's own vessels, the Ship also has the use of two (2) other vessels owned by two (2) of the Ship's officers. Both our Skipper and one of our Mates have their own twenty-two (22) foot Catalina sailboats that are currently licensed, registered, and sea-worthy. Our first vessel is a 22 foot Catalina sailboat. The Catalina and its trailer were donated to the Ship by the owner's widow and the vessel is currently being cleaned up and being made ready for the 2013 sailing season. The Catalina is a 1972 model and its cabin has berths for four (4) persons, who should be very good friends, and also has provisions for a galley. The sailboat had not been in the water for a number of years and there is quite a bit of work to be done prior to the Catalina being made once again fully sea-worthy. The boat has a "swing keel" that is currently off of boat and needs to be re-installed before the boat returns to the water. The "swing keel" allows the boat to sit lower on a trailer and also to sail in shallower water than would be the case with a fixed keel. All of the exterior and interior woodwork needs to be either re-finished or replaced and much of the electrical wiring should be replaced as well. Insofar as each of the Sea Scout rank requirements include the requirement that the Sea Scout put in at least sixteen (16) hours on maintaining the Ship's vessels and equipment, there is plenty of opportunity for the Ship's crew members to fulfill those service requirements for their respective ranks. The Catalina has recently been retrieved from its former home at the Delaware River Yacht Club (DRYC), where its former owner was a member. The vessel is now ready for its long-overdue cleanup, maintenance, and repair to make it once again sea-worthy. A considerable amount of work is to be done on the vessel but much of it is simple elbow grease to clean up a decade's worth of accumulated dirt from when the vessel was sitting in the boat yard at the DRYC. The Catalina's title has now been transferred and it now has a Pennsylvania registration that is valid up until the last day of March 2017. We've had several clean up and maintenance days working on the Catalina, the most intensive of which was a 7-hour work day that re-installed the Catalina's swing keel, and, other than cleaning up several years' worth of neglect due to the illness of its former owner, the vessel is in rather good shape and should be sea-worthy by the 2016 sailing season! Our other vessel is a sixteen (16) foot O'Day Day Sailer II and was also donated to the Ship along with its trailer. The Day Sailer is in better shape than our Catalina and needs only some elbow grease to ready the boat for sailing. While only six (6) feet shorter than our Catalina, the Day Sailer is quite a different vessel. The two biggest distinctions between the two vessels is that the Day Sailer has no cabin with either berths or a galley. Additionally, the Day Sailer draws much less wate r than does the Catalina, although it also has a swing keel. In that the Day Sailer does not have an extensive cabin, its cockpit area is considerably larger than the Catalina's. We cleaned up the Day Sailer and used it as our float in the Souderton Borough Christmas Parade that was held on Saturday, 1 December 2012. Our first sailing day on the Day Sailer was at Lake Nockamixon in April 2014, which turned out to be quite a memorable day as just 15 minutes into our sailing with the Day Sailer, we were hit by a surprise gust of wind from the opposite direction, the vessel capsized and had to be recovered from the lake. The crew remembered their training and worked to right the vessel as was taught the previous year at Haliburton Scout Reserve but the rangers ordered us out of the water and we had to rely upon others to recover the vessel for us. Our Day Sailer is an excellent vessel for our Sea Scouts to learn the fundamentals of sailing and have quite a bit of fun at the same time. In addition to Ship-owned vessels, we also have available several other vessels that are owned by the various adult leaders of the Ship. Those vessels include both sail and powered vessels. 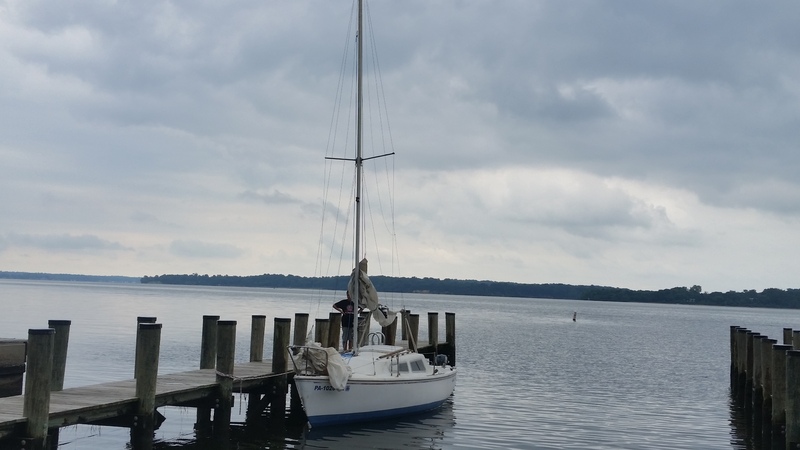 Mate Paul Coaché has acquired a 1976 Tanzer 22-foot sailboat that is often used by the Ship for sailing days at Lake Nockamixon. Although classified as a 22-foot vessel, the Tanzer is actually closer to 23 feet in length and has a wider beam than do the comparable Catalinas . The Tanzer is also a bit heavier than are the comparable Catalinas, weighing in at approximately 3,500 pounds versus approximately 2,500 pounds for the Catalinas. While Mr. Coaché's Tanzer has a swing keel, it had not been used for about a decade prior to Mr. Coaché's acquisition of the vessel and it is now rusted in place. The Coaches also renamed the vessel the "Leap of Faith," an expression of hope as neither Mate Coaché nor his wife had any extensive sailing experience. The Ship took the Tanzer to its 2014 Long Cruise to the Chesapeake Bay where we used Rodney Scout Reservation as our home port for the week. The Ship's officers and crew enjoyed a week's worth of sailing on the Chesapeake with the Tanzer and acquired quite a bit of knowledge relating to sailing during that time. 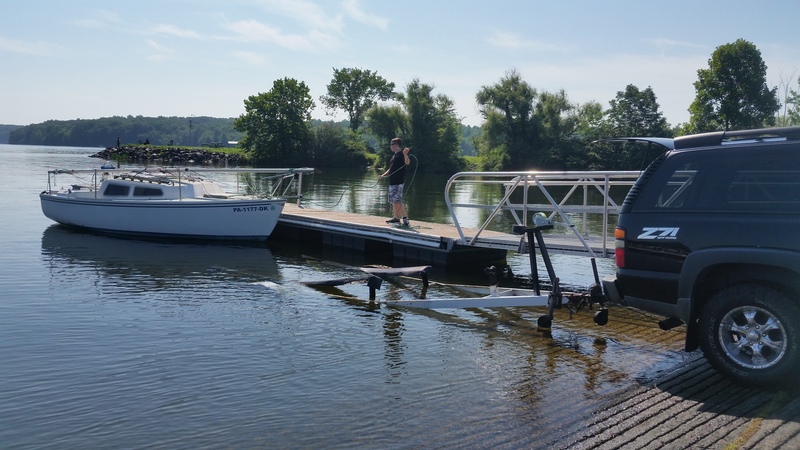 Mr. Coache was fortunate enough to acquire a wet slip at Lake Nockamixon in 2015 and the Tanzer has been berthed there for the entire 2015 sailing season. 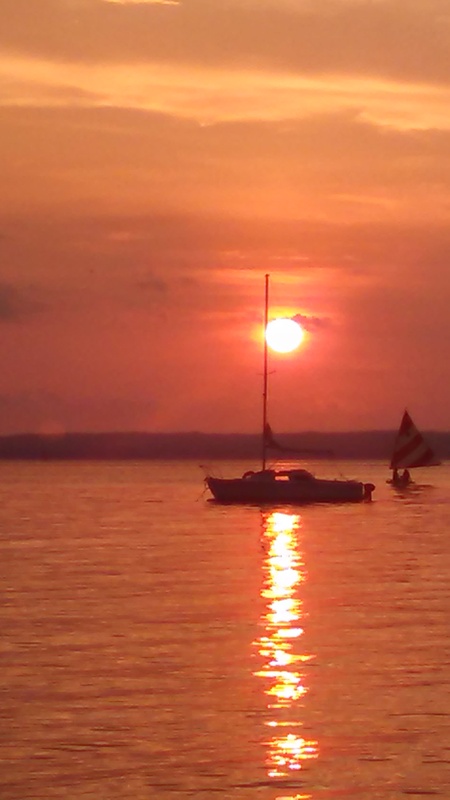 Having the Tanzer moored at the Nockamixon Marina sure cut down our preparation time during our sailing days in the 2015 sailing season. 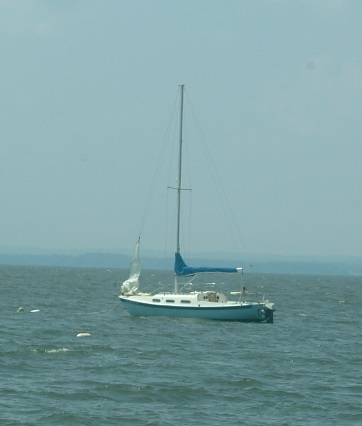 Skipper Tim Wile owns a 1974 22-foot Catalina sailboat that is also used by the Ship for its sailing outings. 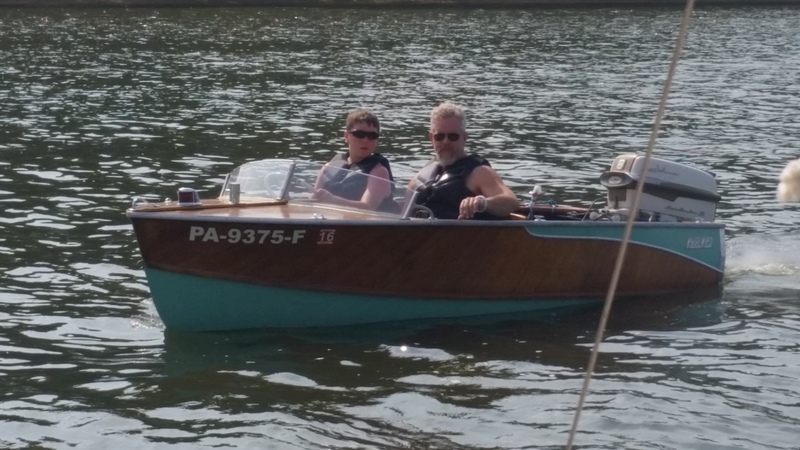 The Skipper's Catalina 22 is named the "Sharon Ann," in honor of his late Mother-in-Law and we have used it for sailing days at Lake Nockamixon and we also took it with us to Rodney Scout Reservation in July 2015 for our annual Long Cruise on the Chesapeake Bay. The Skipper's Catalina 22 is nearly identical to the Ship's Catalina and sailing it provides the Ship's crew with valuable experience on handling a Catalina 22 which will come in handy when the Ship's own Catalina 22 takes to the water in the 2016 boating season. The major differences between the Skipper's Catalina and the Ship's Catalina is that the Ship's Catalina has a wheel steering system while the Skipper's Catalina retains the tiller system to move the rudder. The other major differences are inside of the cabin where the Ship's Catalina has a number of built-in compartments installed by the previous owner while the Skipper's Catalina is more the "factory" interior. One advantage that the Skipper's Catalina 22 had over the Coachés' Tanzer 22 was that the Catalina's swing keel is operational and having the swing keel extended made quite a difference when sailing against the wind or in a cross-wind. When the Catalina was racing at a good clip on the bay, you could hear the hum of the swing keel cable as the vessel sliced through the water. We enjoyed a number of days with good wind while we were at Rodney for our 2015 Long Cruise and the crew members present enjoyed quite a few days of good sailing with the Catalina 22. Skipper Tim Wile also owns a 1961 Whirlwind runabout that the Ship has used on some boating days where the winds were not favorable for sailing. The Skipper's Whirlwind is a 14 foot molded mahogany plywood runabout that was manufactured by Molded Products, Inc., of Cockeysville, Maryland, from 1947 through 1962. Due to its molded plywood hull, the Whirlwind has no rib structure and is an incredibly light and strong boat. The boat is set up for remote steering as well as remote control of the speed and shifting of an outboard motor. Just prior to the 2015 Long Cruise, the Skipper installed the electric starting cables and junction box so that the 35 horsepower Johnson Super Sea Horse outboard that powered the Whirlwind could be started electrically. While at Rodney, the 1958 outboard strutted its stuff and performed quite admirably for a 57-year old engine. The Whirlwind flew across the water when the Johnson was put at full throttle and the Sea Scouts enjoyed piloting the classic wooden runabout on the Chesapeake. We received quite a few compliments from the sailboat staff on the Whirlwind.